Boeing definitely has no shortage of crazy, ambitious, and downright ridiculous ideas. Many of these never make it past the conceptual phase, but the company’s latest one might actually become a reality at some point in the future. 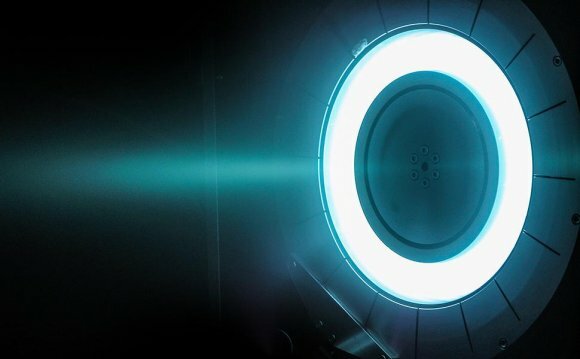 Boeing has recently been awarded a patent for a super-efficient laser-powered nuclear fusion engine — and while it might sound like they ripped it straight from the pages of a sci-fi novel, it’s actually not that far-fetched. Don’t get too exited yet, though. Boeing has received approval for the engine’s patent, but that doesn’t necessarily mean that they’re actively working on building one, or that we’ll see it show up in the real world anytime soon. That said, it’s still an extremely exciting development because the technology that the engine relies on to generate thrust is so radically different than what you’d find in currently-used jet engines. Modern turbofan engines employ a series of fans and turbines to compress air, which is then mixed with fuel and ignited to create thrust. Boeing’s engine, on the other hand, uses an array of high-powered lasers to trigger a small nuclear reaction, which would then cause the engine to accelerate forward. And that’s not even the craziest part. The coolest thing about Boeing’s concept is that it’s also designed to harvest heat energy from the nuclear reactions it creates. According to the patent documents, the walls of the engine’s combustion chamber would be lined with a fissile material like Uranium 238, which would react with the high-energy neutrons produced by the nuclear reaction to generate huge amounts of heat. On the other side of the chamber wall, a coolant would pick up this heat and be sent through a turbine/generator to produce electricity. This power would then be used to power the engine’s lasers — meaning that, in theory, the engine would be self-sustaining, and only require a small amount of external energy to function. It’s an awesome idea, for sure, but unfortunately the technologies needed to make this engine a reality are still very young, and need much more development before they’re ready for prime time. Keep your fingers crossed, though, and we just might see the debut of a self-sustaining laser-powered nuclear fusion engine in a about decade or so — but for now, it only exists on paper.